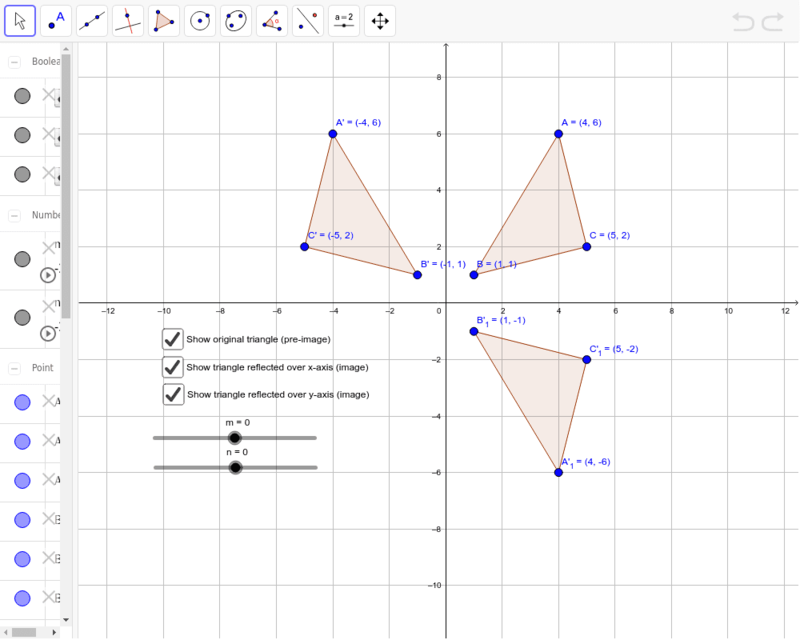 Use the checkmark buttons to change the visibility of the x-axis and y-axis reflections. Use the m and n sliders to translate triangle ABC (pre-image). Consider what happens to x-value and y-value of each vertex when reflected.